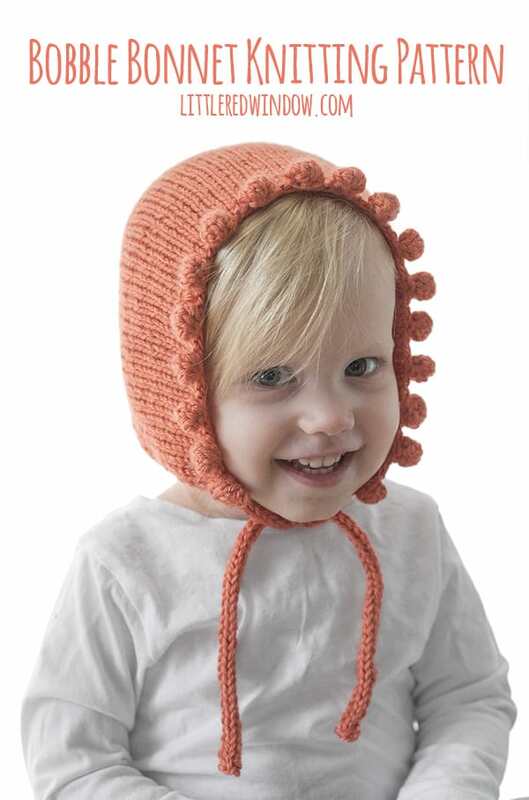 Oh friends, the Bobble Bonnet knitting pattern makes me want to squeal. 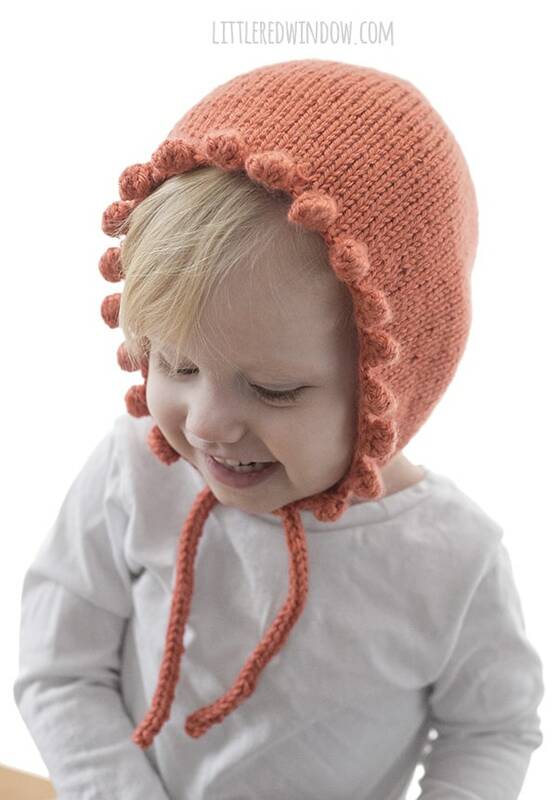 I mean, honestly, I know everyone thinks their own kid is the cutest, but the truth of the matter is…whichever baby is currently wearing a bobble bonnet? That’s the cutest. 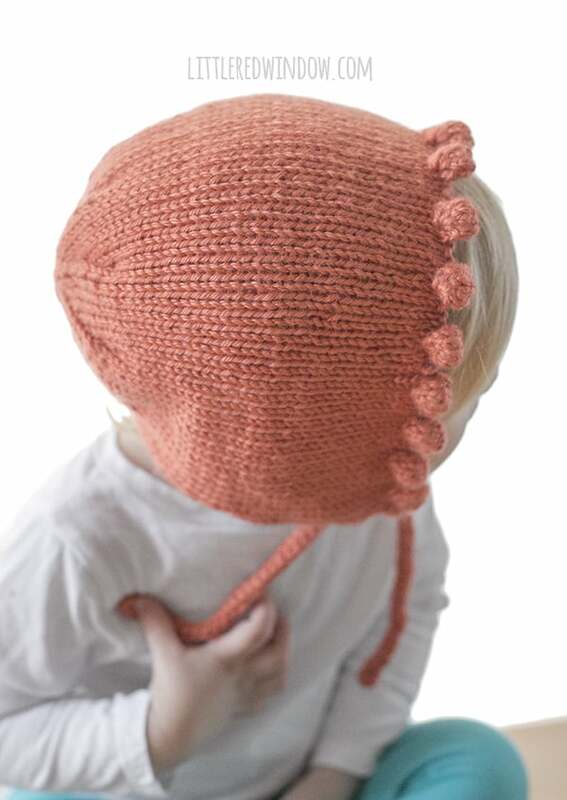 This is a really fun bonnet pattern to knit, the bobbles are fun to make but don’t take too long and then the rest of the bonnet is knit partly flat and partly in the round which makes it quick to finish! 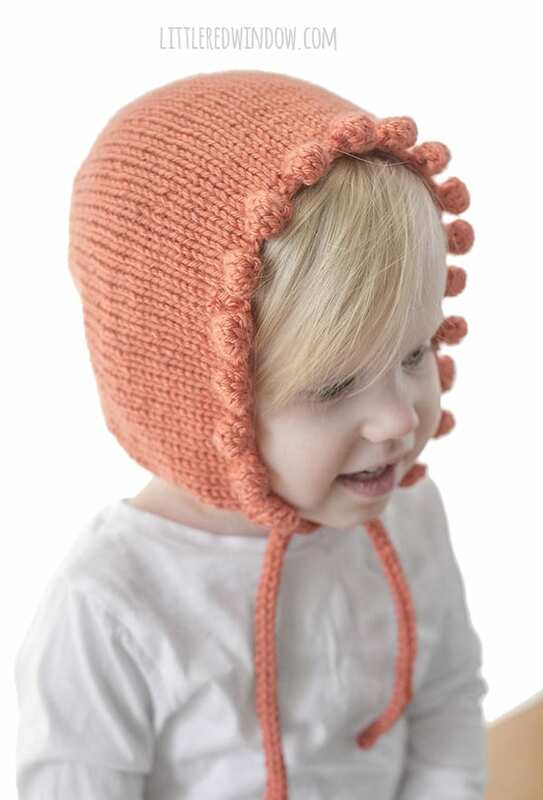 I also sat and contemplated long and hard about whether or not I should make the bobble trim a different color than the rest of the bonnet, because how cute would that be? 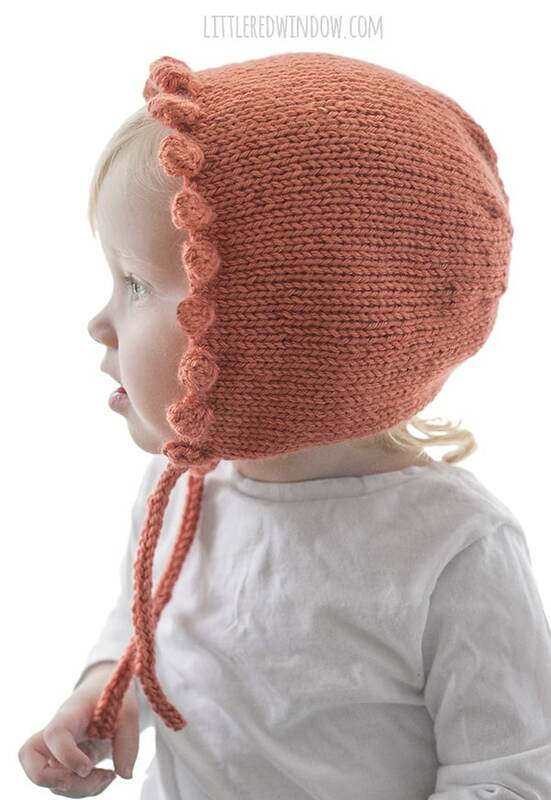 But I decided to go for all one color so we could focus on the cuteness at hand. But someone make one like that and share it, will you?